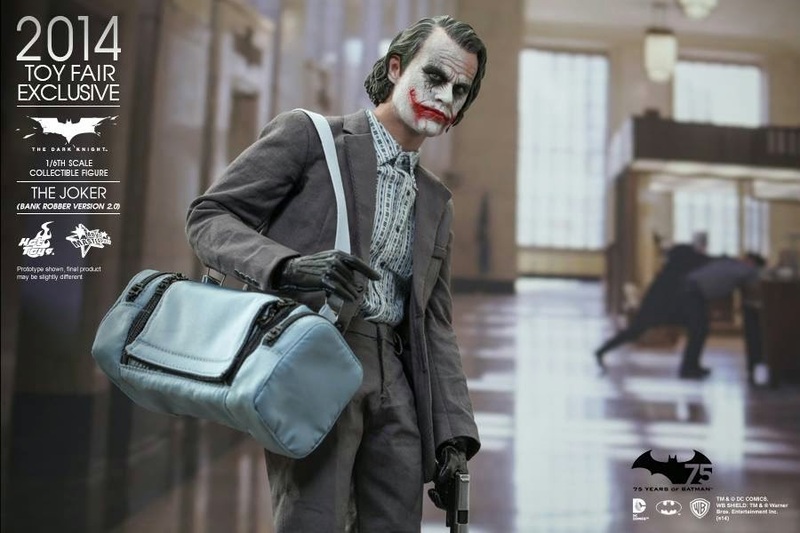 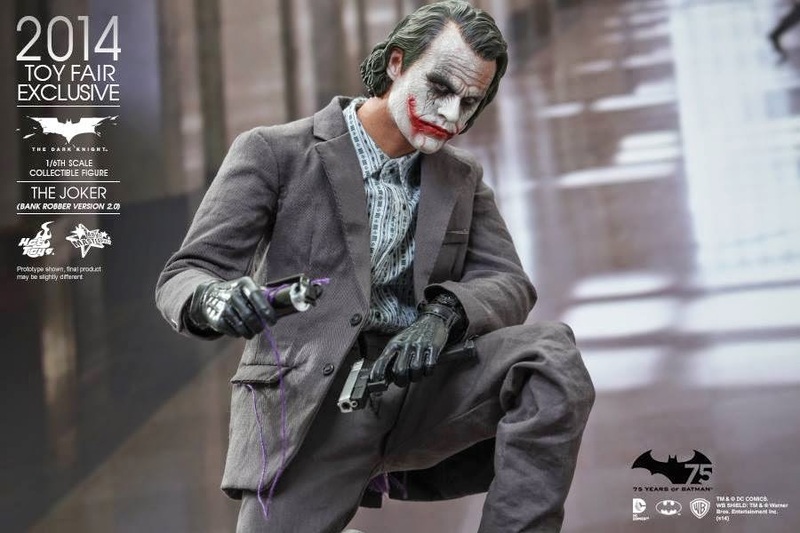 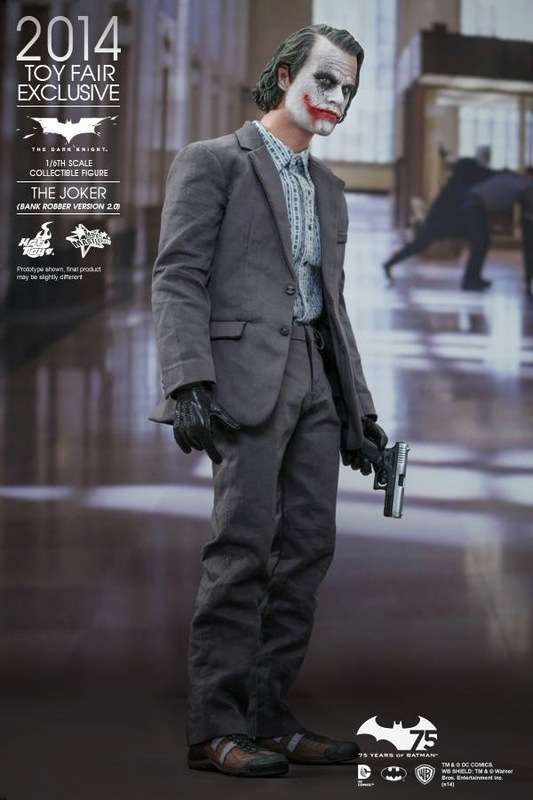 Hot Toys’ first 1/6th scale The Joker (Bank Robber Version) Collectible Figure has been sought after by collectors even up to today as Heath Ledger’s amazing performance as The Joker in The Dark Knight left a strong impression among fans all these years. 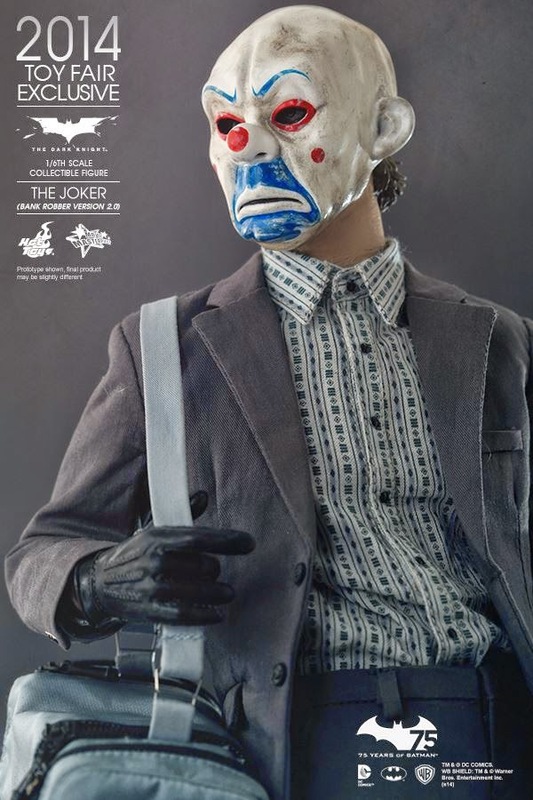 Today we are delighted to present this updated version of The Joker (Bank Robber Version 2.0) Collectible Figure as one of the 2014 Toy Fair Exclusive items. 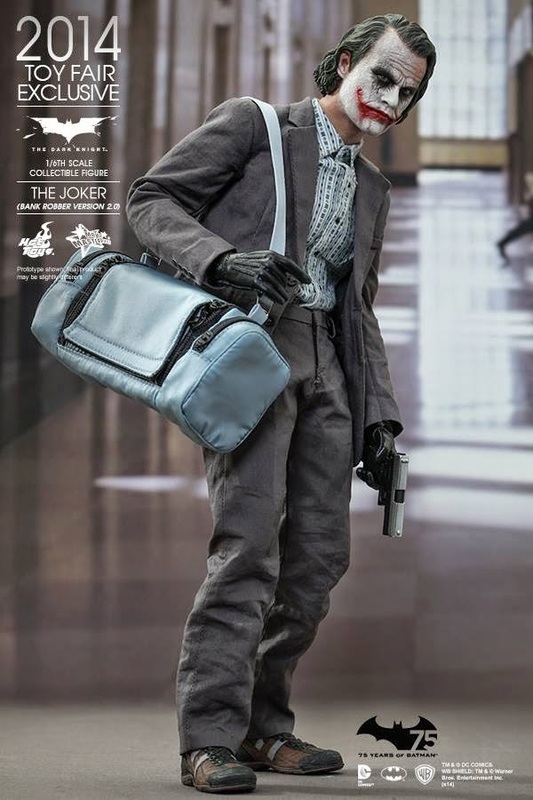 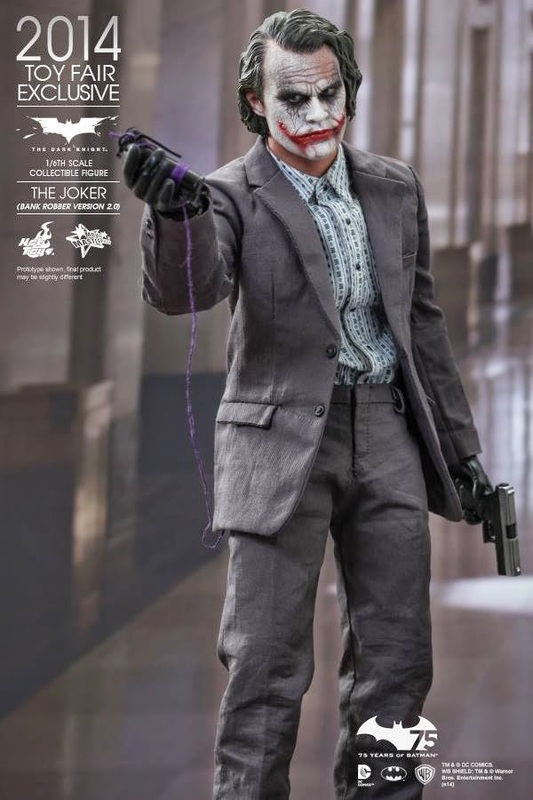 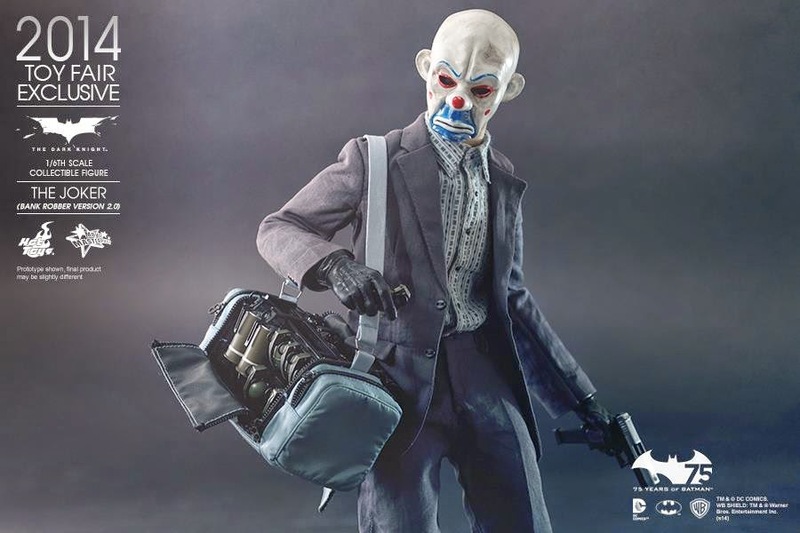 The movie-accurate collectible figure is specially crafted based on Heath Ledge’s image as The Joker in his bank robber outfit in the movie. 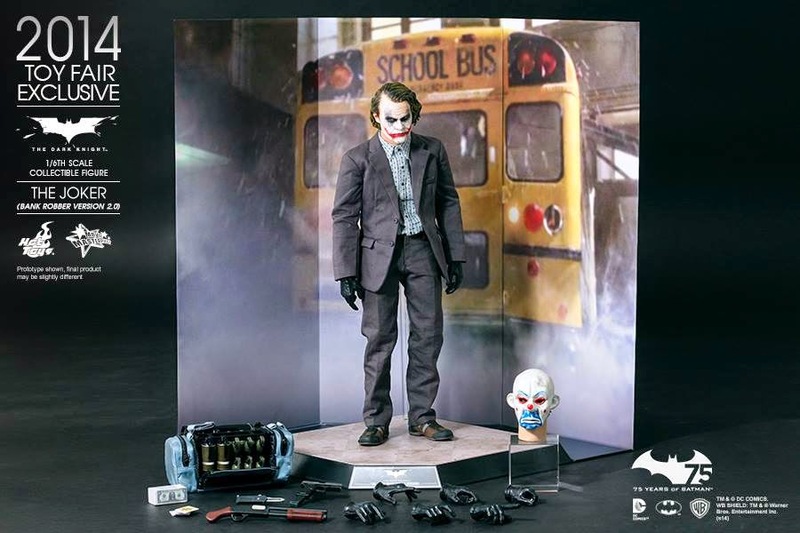 It features a newly painted head sculpt with upgraded technique, a newly sculpted interchangeable Bozo masked head sculpt with scuff marks, brand new tailored slimmer-fitting costume, detailed weapons, accessories, and a backdrop of the school bus used in Gotham National Bank heist. 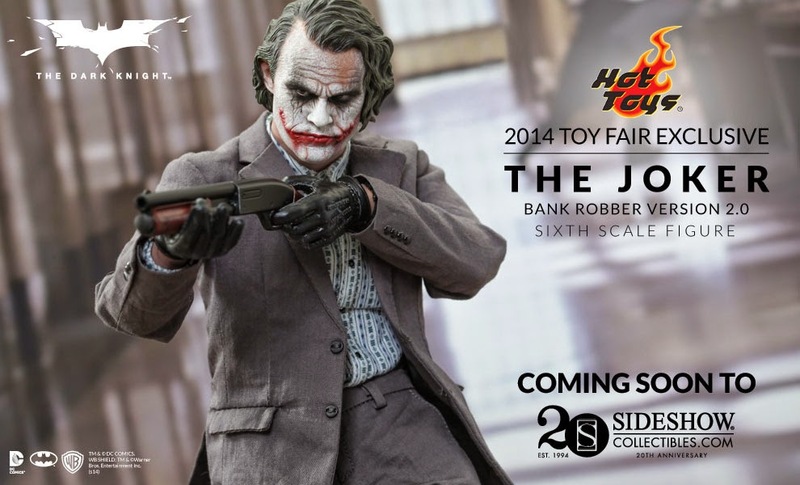 The 2014 Hot Toys Toy Fair Exclusive Joker (Bank Robber Version 2.0) will be available very soon at Sideshow.com.